I've recently been thinking about getting a Herschel wedge for white light solar observing. My scope is a Tak FC100D which is a fluorite Steinheil objective. Although the instruction booklet leads me to believe that the scope will be fine without the use of a full aperture filter, as it advises the use of a projection screen, I thought I'd ask for advice here first. My question is "Will using a true fluorite scope without a full aperture filter pause a threat to the objective?" And, does anyone here use a 4" fluorite for solar observation in this way? 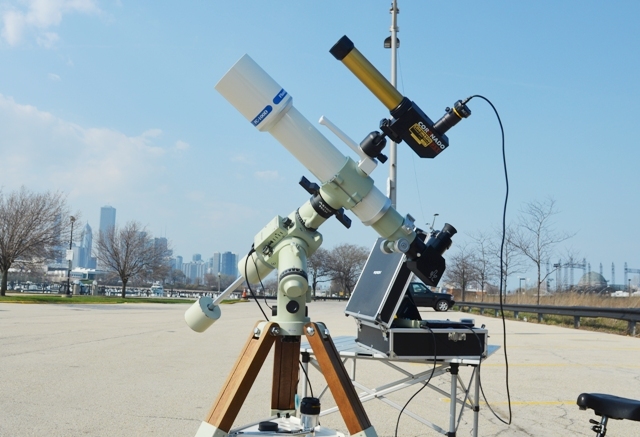 Your scope may work just fine for solar projection but I'm not sure I'd want to risk damaging it. I'd stick to a full aperture filter. Tak themselves offer no warning to the contrary, and they encourage projection, so I will buy a wedge. The only warning against unfiltered solar observing I've found was with regard to the FSQ, which is understandable. My FC does regularly sunbaths with the Herschel wedge. These make the FC happy, since UVs kill molds! The biggest issue with all fluorocrowns is fracturing due to thermal expansion, and thermal shock in particular. The second issue is how to get over your abysmal sadness after you hear that quiet, irreversible "tik" coming from your lens. I recommended full aperture filtering to Bob Yoesle a while back. I mean, why risk it? I'd pay serious attention to Mike's advice - as professional in the optical/aerospace field, he knows what he's talking about. I've been the principle optical designer for Lockheed Martin Aeronautics Company for nearly 36 years now. Right, better be careful. This link shows two examples of cracked lens in triplets used for solar work. Er, the OP inquired about a Tak FL doublet, not a triplet. And the OP states that the scope manual advises that solar projection is okay. Thus, according to Tak, this scope is fine with full aperture, unfiltered solar. Logically, that would make using a Herschel wedge okay, too. If a Tak 4" FL doublet can't handle that, well... That's ridiculous. I'd think that the FL elements would likely experience more thermal "shock" in typical cold weather use than solar viewing. Edited by slack, 12 February 2016 - 04:32 AM. I wonder if that's an oil spaced triplet? EEK! If the scope is assembled correctly and the wedge used properly, then nothing will happen. The sunlight passes "through" the lens just like your windows at home. The lens will NOT get hot. Wedges have been used for decades without issues. Lunt and others make Ha solar scopes without filtering the objective lens. I have a Lunt 100 and there is no filter used before the refractor objective. I have used a wedge for many years on doublets and triplets both air and oil spaced without the slightest issue. If there were a problem using refractors for solar viewing when using these wedges that would have been well known a hundred years ago. Why would the sun heat the lens? The light from the sun is concentrated at the “focus point”, NOT at the lens surface. You can view all day and the lens will be fine. Thanks for your reassuring post Bob. I felt sure Tak would have warned against solar without a full aperture filter, as they do with their FSQ, but with the new FC they are happy for the scope to be used for projection, so I assumed a wedge would be OK too. I just wanted to get the opinion of those with experience in this field and with similar scopes. Bob, you're right, of course - in general this shouldn't and won't happen. The link I posted just shows unusual failures due to a possibly bad design/assembly. And it appears they were triggered simply by the prolonged, unfocused direct sunlight. Guys, I only recommended not exposing an objective lens with fluorite or semi-flourite glass to direct sunlight out of pure caution. It's so easy to put a low-cost Mylar filter over the front and reduce the heat load to the lens by 99.99% or better. Lots easier than looking with abject despair at a crack running through your forever-ruined $3-5K lens. A cool to cold fluorite lens taken out into hot sunlight is just asking for trouble. Maybe it will survive, maybe it won't. Your call, your risk. Christen can do it if he wants, I ain't doing it, ever, and I recommended the same to Bob Yoesle. Not my circus, not my monkeys. Good luck. It's so easy to put a low-cost Mylar filter over the front and reduce the heat load to the lens by 99.99% or better. While I respect your preference, this is not a remotely accurate statement. While Baader ASF (much better than Mylar, btw) will reduce the amount of light passing through the objective lens by 99.99%, any heating of the front objective lens by direct sunlight passing through it is negligible. The difference might be a few percent, if that. If the lens is an air spaced doublet, I would expect that the glass would be close to ambient temperature once acclimated, whether behind Baader solar film or exposed to direct sunlight in front of a Baader Herschel wedge. I use a D-ERF on my triplet oil-spaced lens, so I am cautious, but tough to figure this one out. Seems like many have used projection or wedges over the years without a problem. 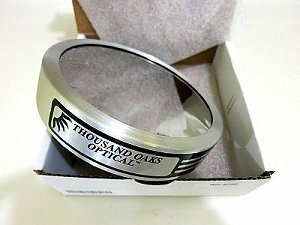 Would you be willing to leave your lens cell flat on a table in the sunlight? Seems like it should be ok and yet that is probably hotter. At least one of the linked photos was a cemented lens. I wonder if the problem was not the lens in the sunlight but the black lens cell in the sunlight transferring heat to the lens. The lens itself shouldn't absorb much light. I think the IR blocking of the DERF would be a good precaution, even for white light observation. The issue is simply one of coefficient of thermal expansion, and the fluoro-glasses, including FPL 51, 52, and 53 are all significantly higher than "standard" glasses. 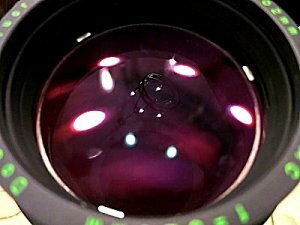 For the cemented element lens, this likely caused the failure. Any mechanical impingement could possibly also result in failure. 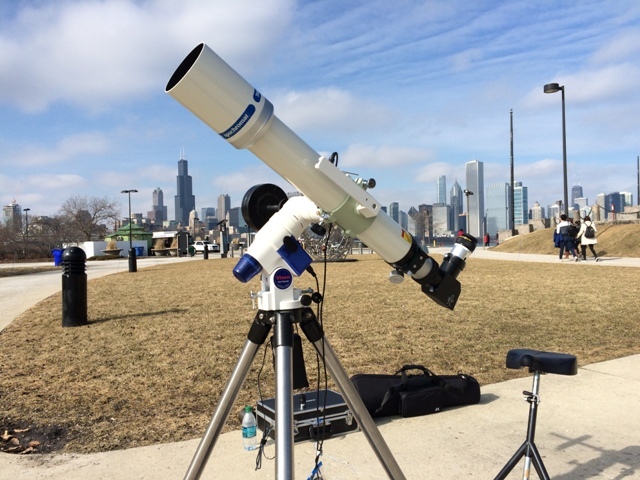 Bottom line, I will not use my irreplaceable AP130 EDT objective for unprotected solar observation -- its not worth it from a structural failure point of view, and would not provide as stable optical performance as an "ordinary" objective in any event. It is confined to H alpha use with a DERF, or white light use using Baader film, and not a Herschel wedge. I wouldn't either. Because it's a triplet. He states the front glass should not suffer as light does not focus on it. It's just like a car's windshield on a hot summer day. Problems arise if there are any plastic parts inside the OTA; then you'll see fumes! My 6" AP does white light happily during the long days of summer in SE England. In the other ERF thread, a DayStar quote alludes to the UV light of the sun being bad for the oil, which would not need heat. To each their own. I completely understand people not wanting to risk their expensive scope as the sun is a dangerous object when handled incorrectly but if you think about it there should be no issues with the oil in between the lenses. Unless there is a mechanical problem or a leak, the oil expansion should be minimal. In fact oil's expansion coefficient is low, that's why it is used in engines (in addition to being a lubricant). My 6" triplet is oil spaced and now 24 years old (1992 vintage); no issues here. I agree with you on the heating part. I just hadn't thought of the UV light directly breaking down oil. I don't know if it is an issue or not. Certainly it does break down plastics and some oils. I have not heard of sun-induced oil problems, and in fact I don't remember many oil failures of any kind (I guess leaks). I remember George of AP cautioning about internal ERFs, but I don't remember the reason. Obviously Roland is not worried. I have been doing Herschel Wedge solar obs. with my 3" and 4" Vixen fluorite Steinheil doublets for a couple of years now. I never had any issue with the objectives. On the contrary: splendid images, better than with the Baader AstroSolar! Edited by AllanDystrup, 21 February 2016 - 04:10 AM. ...and for H-Alpha, I'd use this... http://www.thousando...com/halpha.html ...or something very, very similar. But most of the time, her lovely visage is exposed only to the gentle, nocturne photons of the deep, dark night. Well, your nice scope becomes somewhat irrelevant behind that white light filter. Baader AstroSolar Safety Film far outperforms what you're using (and a Baader CCS Herschel wedge is better still). And as for Ha, I believe that you'd also find TO to have few users compared to Coronado, Lunt, and others (though I like TO and use some of their non-solar filters).